In her latest book, Karen shares the stories of Patty Valdez and South Sound Paranormal Research in their seven-year investigation into the haunted museum. She also shares eyewitness accounts from volunteers, visitors, and museum employees. The Lewis County Historical Museum sits in the heart of Chehalis, Washington. The former railroad depot houses artifacts from the area's pioneers, but eyewitnesses believe the museum is home to more than just historical items. Many visitors, volunteers, employees, and paranormal investigators have had unexplainable experiences in the museum when they've encountered its resident ghosts. South Sound Paranormal Research (SSPR) has been investigating the museum since 2008. In the past six years, they've collected countless hours of data, including many pieces of evidence that seem to indicate the museum is haunted. In Pioneer Spirits, SSPR not only shares their evidence of ghosts, but they also tell the stories of those who have encountered the unknown. If you love ghost stories, then Pioneer Spirits won't disappoint. Join SSPR for a front row seat at one of Washington's most haunted hot spots. "Pioneer Spirits was the most amazing experience I've have had in a while reading a book. 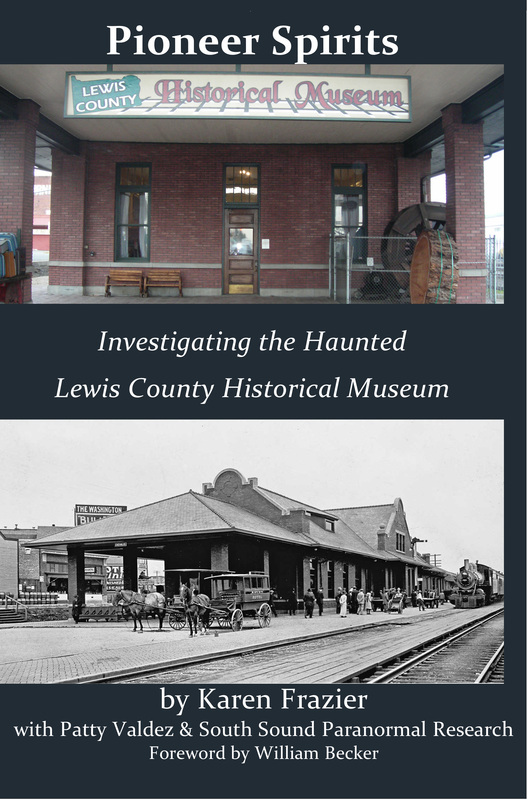 I felt like part of Lewis County: from its historical background, the museum, the spirits, and even SSPR. It drew me in right away and held me through every part of the story. I really felt like I was part of SSPR and was there as the investigations unfolded. I connected strongly with all the spirits that are there."